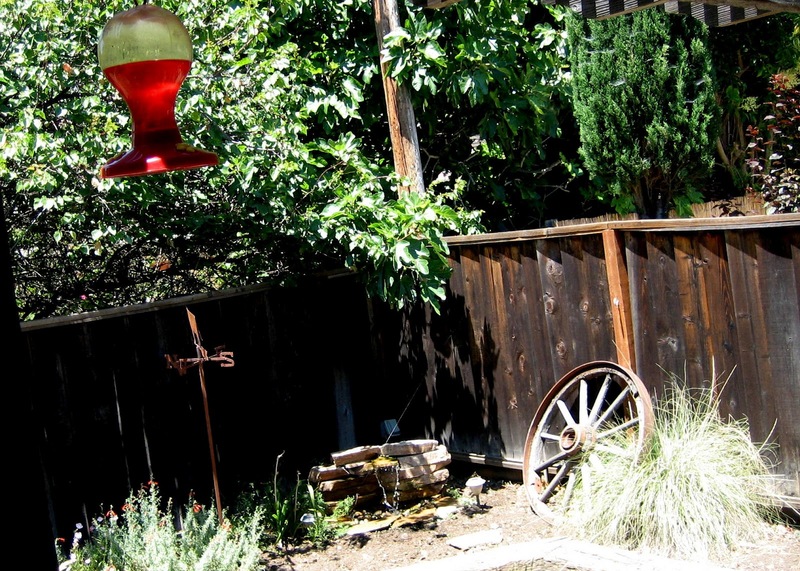 I love it that from our couch we can see the fountain and the hummingbird feeder. 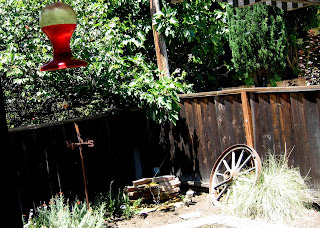 I can never catch the birds on camera but little ones, maybe finches, often wash and splash in the fountain, and the hummingbirds like both the feeder and the red flowers on the plant beside the fountain. So pretty.